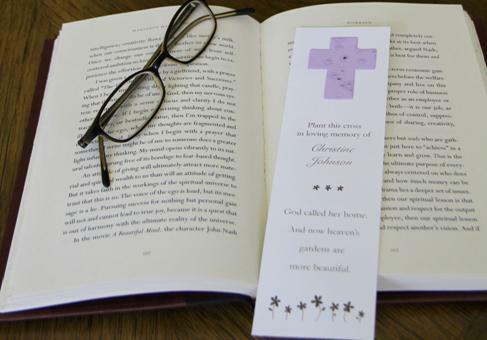 Butterfly cards can be filled out and hung from a branch or small tree. 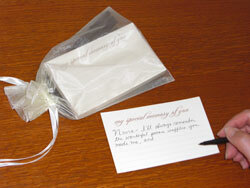 These work well at a group event, where family members can write a dedication on a card and hang it on the tree. These memorial tress wrapped in burlap can be given out to be planted as a living memorial to the loved one they lost. 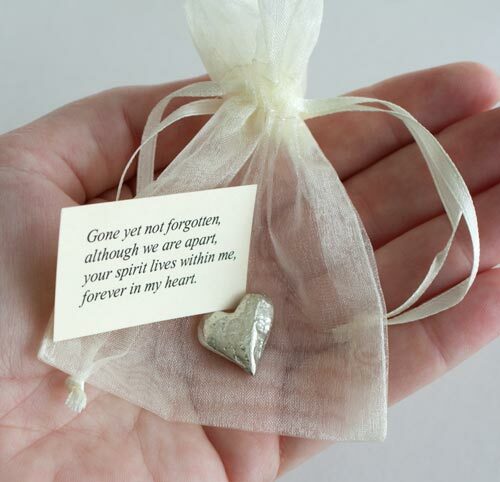 These memorial velvet pouches contain forget-me-not seeds that can be planted to grow beautiful flowers. The card contains a dedication and planting instructions. Memorial pocket rings can be personalized with your organization’s name or logo to be given as tokens of remembrance or thank-you gifts. These rings can be put on a necklace or key chain or simply carried in a pocket. These memorial butterfly pocket rings say on the back “to the butterfly is just the beginning”. The pocket rings can be set out on a table or given out as a token of remembrance to family members or patients’ families. 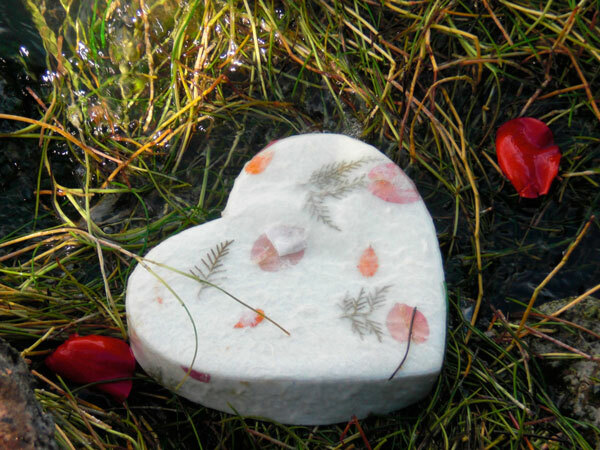 Family members can write their memories of their loved one on the dove card and then hang the dove on a branch or tree. 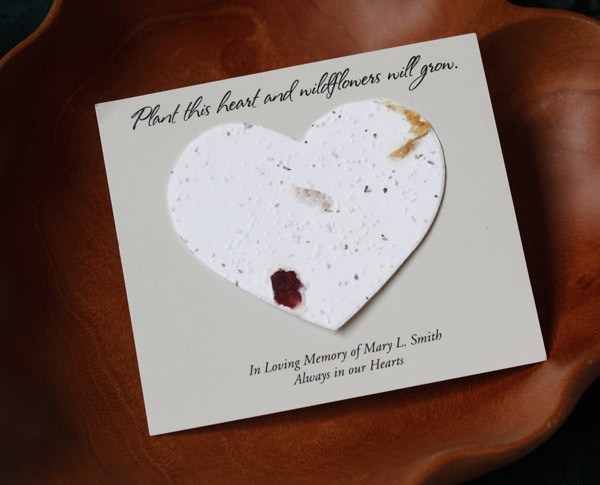 These are perfect idea for a memorial service so each person can see their card along with the cards of the other people at the memorial ceremony or event. 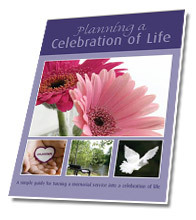 This entry was posted in celebration of life ideas, Dealing with Grief, Funeral Memory Table, Ideas for creating a memorial, Sympathy gifts and tagged appropriate funeral gift, celebration of life ideas, funeral ceremony, funeral favor, funeral gift, group memorial favor, hospice gift, hospice memorial gift, hospice memorial gifts, hospital memorial gift, memorial coins, memorial favor, memorial gift idea, memorial gifts, memorial service gift. Bookmark the permalink.